National Grid had a large number of slam-shut control systems operating on twin-stream and triple-stream Pressure Regulating Installations (PRIs). Many installations were over 25 years old and required replacement to ensure that safety systems were kept in good order. �Select-a Stream II� is a system of slam-shut stream selection designed and developed by National Grid and manufactured by Drallim Industries. It has been developed from, but is not identical to, the original �Select-a-Stream� systems that were used within East Midlands Network of National Grid. 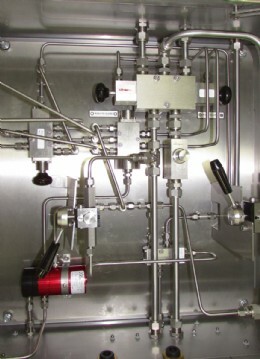 The system consists of a control cabinet for each regulator stream. For each installation one cabinet is designated as the �Master�. When the station outlet pressure rises, the lead stream slam-shut will close when its set point is reached. If the outlet pressure continues to rise, the slam-shut on the standby stream will then close. If the outlet pressure subsequently falls, the standby stream slamshut will reopen to maintain gas supplies. If the outlet pressure again rises above the set point (e.g. If the standby stream is faulty), the standby stream slam-shut will again close and will not reopen. If the outlet pressure falls again, the lead stream will now reopen to maintain gas supply. Should the outlet pressure rise above the set point yet again, the lead stream slam-shut will again close and will not reopen. It later became apparent that the customer specified 3-way ball valves, although of superior quality, had begun to fail in the field. This occurred at low temperature due to cross port leakage; a well known Achilles heel of even the best multi-port ball valves. This caused the Slamshut valves to trip and close at the wrong time, a very unwelcome outcome on a mains gas pipeline. Drallim Industries offered an easy retrofit solution utilising their own Rotary Selector Valve (RSV) which has much more reliable cross port sealing in demanding applications. 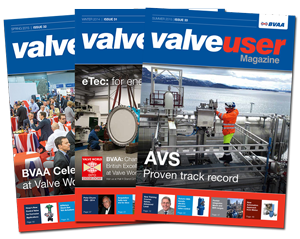 After passing low temperature tests at -40�C, a special variant was produced with matching interface dimensions to that of the failed ball valves. This replacement program was approved by National Grid Gas. Drallim was awarded the contract to rectify the issue and modify the built units with a further value of 1.2 million GBP.